Since steamboat travel to Detroit began 200 years ago, passengers and sailors have enjoyed shipboard food that is renowned the world over. This new exhibition explores the particular culinary elegance experienced by those who travelled the inland seas. 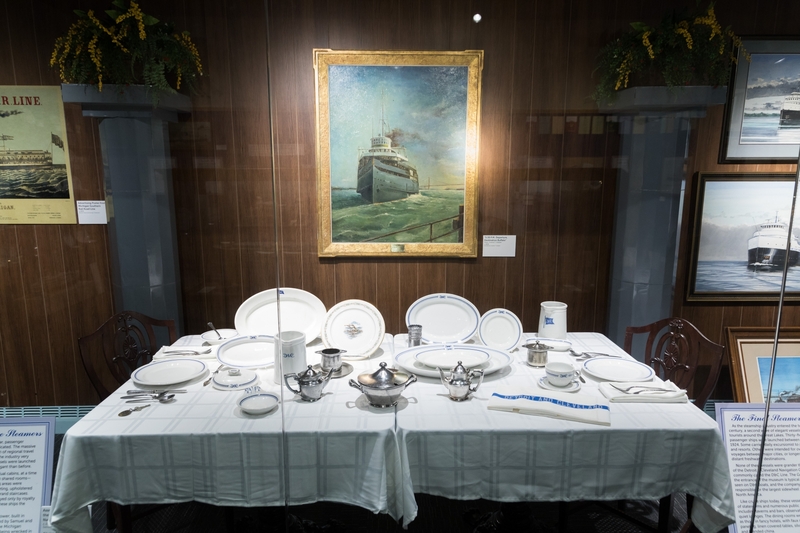 Highlighting this exhibition are hundreds of exquisite artifacts from maritime dining rooms. 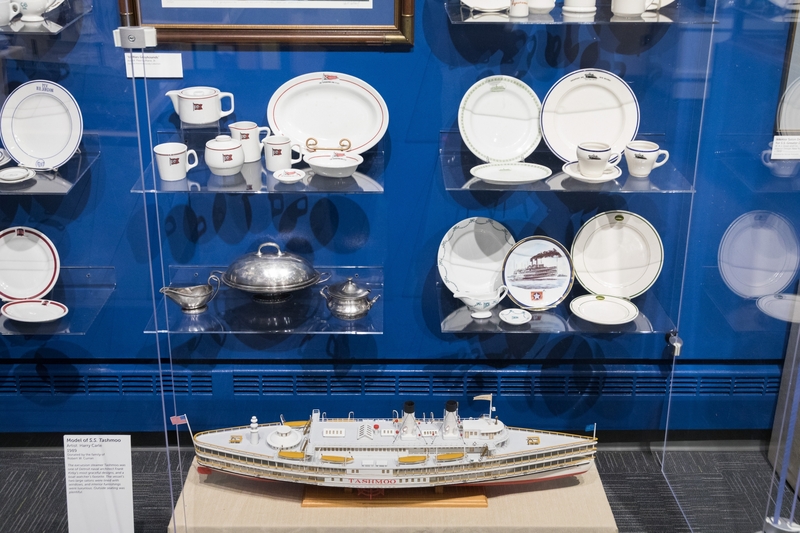 A majority of the china and ceramic pieces were collected by noted collector and acclaimed author the late Daniel C. Krummes over many years and recently donated to the Detroit Historical Society. Krummes authored the go-to reference book for freshwater dinnerware, Dining on Inland Seas: Nautical China from the Great Lakes Region of North America, in 1997. This is first time that Mr. Krummes’ important collection has been exhibited in any museum. 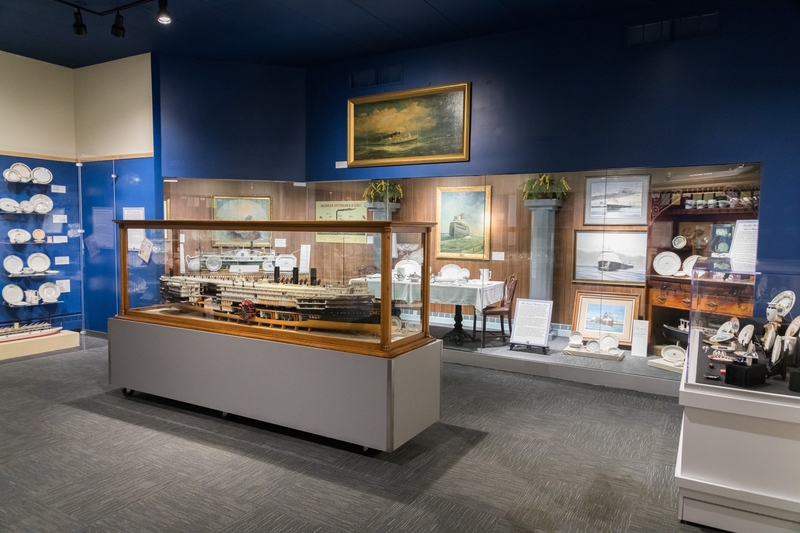 Objects from the Society’s maritime collection, including models of significant ships and striking furnishings from the steamers, complement the artifacts and steamship companies represented throughout the exhibition. • Incredibly Detailed Steamboat Models from the Society’s extensive collection on display in the Richard and Jane Manoogian Ship Model Showplace, including Walk-on-the-Water, the first steamer on the Great Lakes, Frank Kirby’s revolutionary rail ferry Sainte Marie and the Civil War-era Philo Parsons. 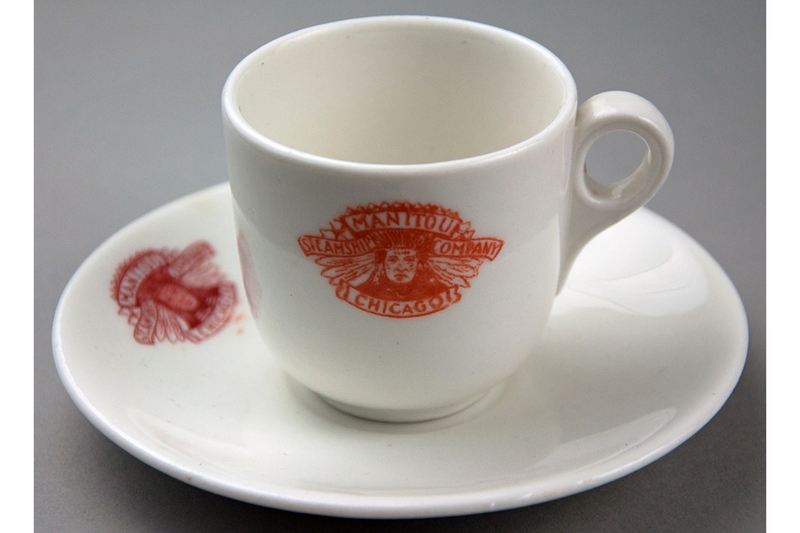 Demitasse cup and saucer from the dining room of the passenger steamship, SS Manitou, of the Manitou Steamship Company. 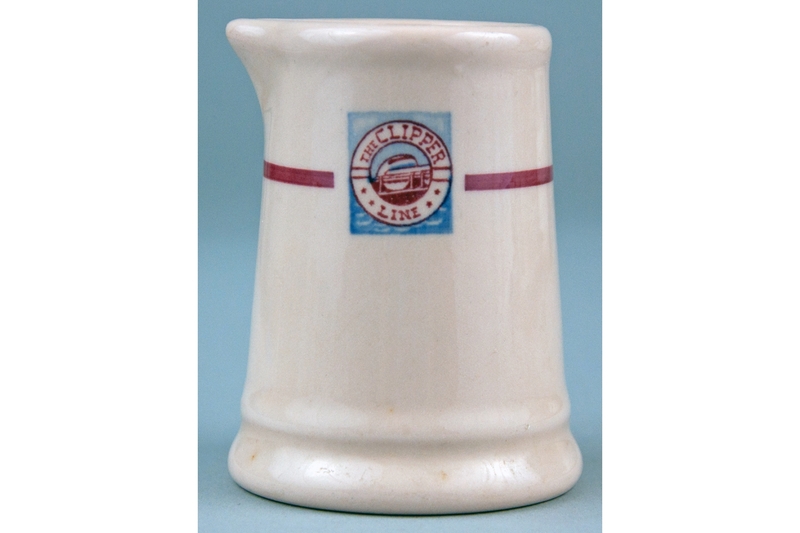 Small cream pitcher from the dining room of the SS Milwaukee Clipper (The Clipper Line, Michigan & Wisconsin Steamship Company). 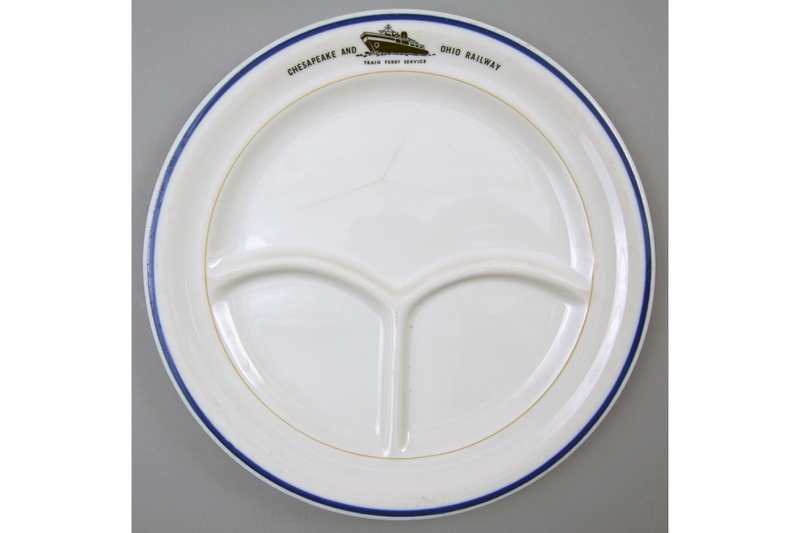 Dinner grill plate from a dining room of the Chesapeake & Ohio Railway ferries. 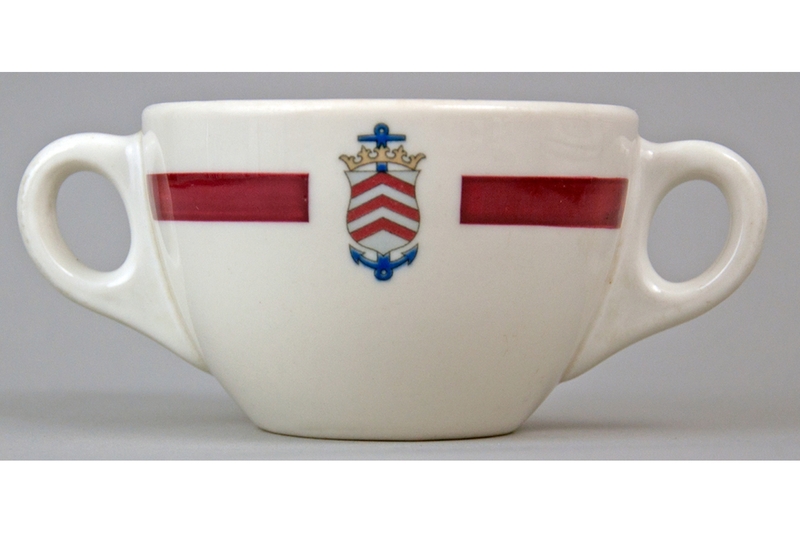 Soup cup from the dining room of the Manoir Richelieu Hotel owned by Canada Steamship Lines. 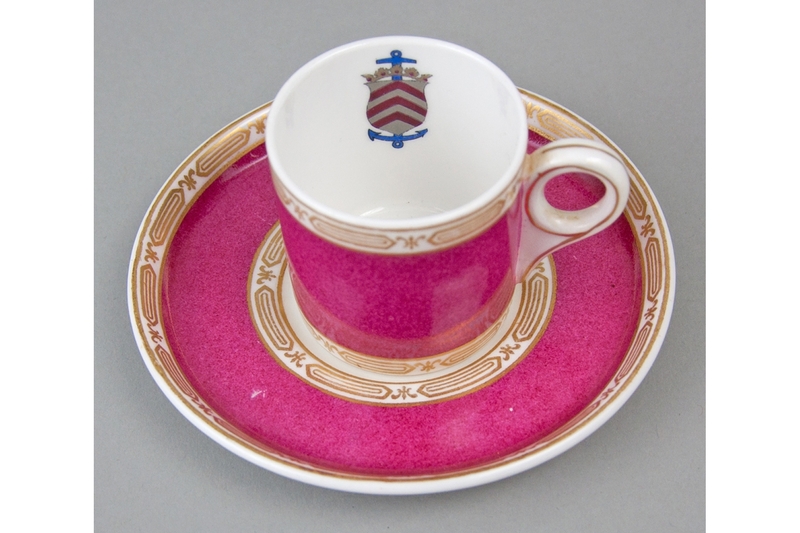 Demitasse cup and saucer from the dining room of the Manoir Richelieu Hotel owned by Canada Steamship Lines.